Last week I related the experience of how my son came down with eczema as a tiny baby. Trying to find the cause of it was an exercise in futility. My brother was born allergic to wheat and as a child suffered from many allergies, which he eventually outgrew sometime around puberty. So I was familiar with food allergies and had some ideas about how to deal with them. My basic understanding was this: Find the reactive foods, eliminate them, problem solved. But it wasn’t that easy. I already mentioned last week how I tried cutting out one food at a time to test to see if that was it. 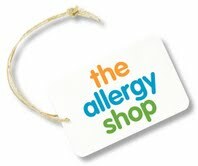 This works if there are only one or two allergens–which usually is the case for most people–but it didn’t work for me. There was absolutely no change no matter what I was avoiding. 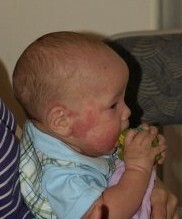 Some people speculated that maybe his eczema was not food related. But I knew otherwise. Sometimes when I was nursing him, I could practically watch him react. It was as though my milk were poison to him. Sometimes my husband would notice the reaction, and say, “He’s breaking out again.”. I began to dread him saying that. What could I do about it that I wasn’t already doing? I mean, he had to eat! We thought of trying some kind of formula, but the doctor did her best to discourage me from switching. After all, even though he was allergic to something in my milk, he was still getting the best nutrition possible. And for all we knew, he might be allergic to something in the formula. I learned later that there are hypoallergenic formulas out there, and we even got one when he was about 9 or 10 months old, but even that had corn syrup solids in it, and he has since proved to be very reactive to corn, so even if he had been willing to take a bottle, I’m not sure how well it would have worked. Now if you try to find goat’s milk formula, you won’t find it–at least, not in the States. You have to buy the ingredients and make it yourself. I found a source for fresh goat’s milk, got my hands on a good formula recipe, and made up a batch. I don’t want to remember the day we tried to get him to drink it. He was about 6 months old by then and was firmly established with breastfeeding. He didn’t even want to take breastmilk from a bottle! 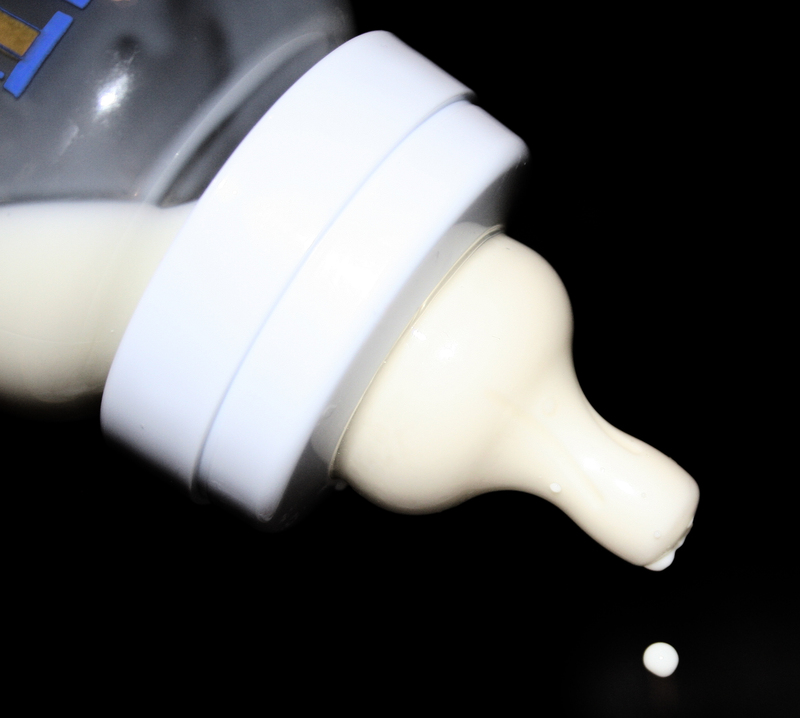 My husband sat for hours while Manny cried for milk the way he was used to getting it and resisted the bottle with all the firmness a six-month-old can muster. I can’t tell you how hard it was to watch. I knew I had what he wanted–more and more as the hours passed–and it was killing me to listen to him cry. But Daddy was determined to try. Finally he drank some. Then he vomited. Then he had a bad reaction on his skin. And he refused to drink more. I begged my husband to “Just let me feed my baby!” and he finally relented. We never tried that again. We had much to learn, but eventually we figured out that certain foods would cause a hives-like reaction on his skin, and this was an indication that he was almost without question truly allergic to those foods. (Note: There is a difference between true allergies and sensitivities; one should avoid true allergens and limit contact with things they are merely sensitive to. This will be discussed more in depth later.) We have used this simple home skin test–rubbing an area of his skin with the food we are testing–with some success to test things without actually giving them to him orally. Once we figured this out, we suddenly understood why he reacted the way he did to the goat’s milk: he is highly allergic to all forms of dairy, including goat’s milk. By trial and error we discovered that he is also without doubt truly allergic to wheat, all nuts, most seeds, kiwi, cranberry, and maybe one or two other things. But that wasn’t until months later, and I still had some of those in my diet when we finally weaned him. In an attempt to put our finger on what was causing the eczema and eliminate it, I began to cut more and more out of my diet. I was hoping that if I could just figure out all the things he was allergic to, he would stop breaking out. Meal preparation became a burden, because my husband and daughter didn’t join me in the restricted diet–meaning I had to cook two different meals. I would try to have at least one dish in common, and find a substitute for what I couldn’t have. Friends became concerned that I wasn’t getting enough nutrition to make good milk. I wasn’t so worried about that–as long as I was producing, I knew from the research that I had done that the milk itself would be fine–but it certainly did drain me. It was also very frustrating. I remember being hungry for a snack one evening, and I couldn’t find any snack foods that I could eat in the house. I was so desperate that I grabbed my purse and headed over to the local health food store (less than a mile away) and stocked up on rice crackers and other expensive snack items. Then I tried to make them last, because I didn’t have a lot of money in the food budget for things like that! More than anything else, the restrictions that I was putting in my diet were all the more frustrating because of the lack of improvement. It didn’t matter what I tried; he just wasn’t getting better. The strain began to manifest itself in emotional issues. I came very near to a serious breakdown. I will share about that next week. Have you ever dealt with eczema in a loved one–or yourself? Can you enter into the frustration that we were experiencing–trying to figure out the allergen(s) and not being able to pinpoint all of them? Please share with us in the comments. If you have a blog about it, be sure to include a link. And consider subscribing so you won’t miss next week’s post, where I will delve into the emotional pain I experienced–and how I almost didn’t survive intact. This entry was posted on Friday, January 14th, 2011 at 5:00 am	and is filed under My Story. You can follow any responses to this entry through the RSS 2.0 feed. You can leave a response, or trackback from your own site.